Calcium deficiency is a major dietary problem in captive reptiles. 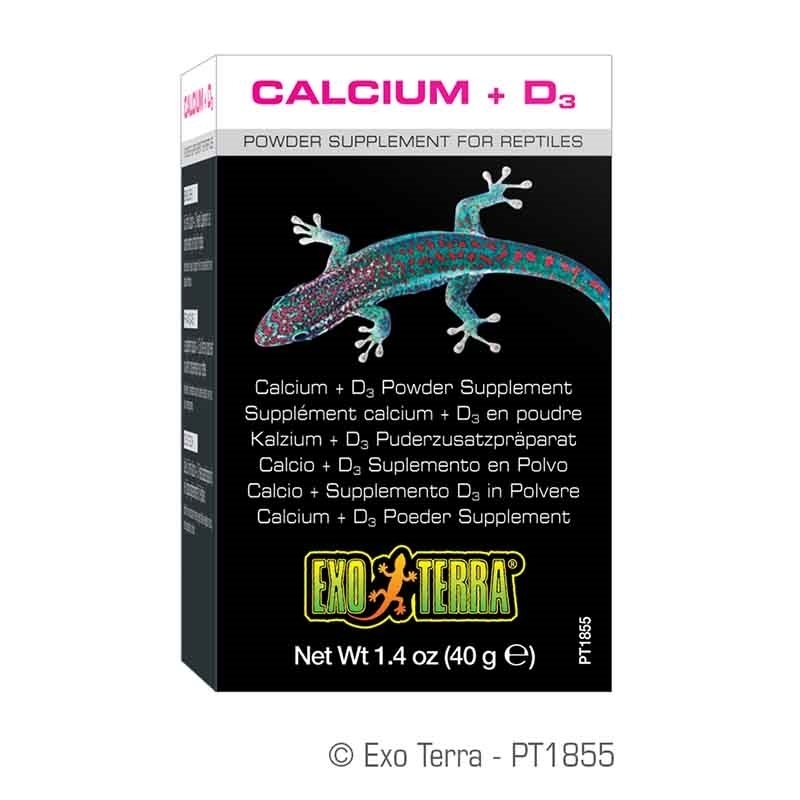 Exo Terra Calcium + D3 Powder Supplement contains high levels of phosphorus-free calcium as well as balanced amounts of vitamin D3for optimal calcium absorption and to help ensure long-term health. 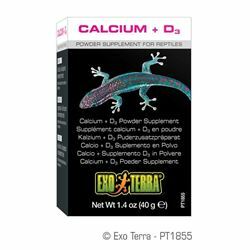 Vitamin D3 aids in the proper absorption of calcium and is vital for captive reptiles not exposed to natural sunlight or ultraviolet lights.